Why Theology is a Verb.. Given the recent turmoil in the church, these last few weeks have been challenging to say the least. Conversations ensued revolving around what hasn’t been done, what should be done and who’s to blame in this crisis. Wounds that had healed in part have been reopened and the hurt and broken trust now visible once again. Especially in a community that went through the worst of it in 2002 with two of the most notable priests having led the flock. Even personally, I had questions too. How could we not have learned as the universal church from hard fought battles of the past? 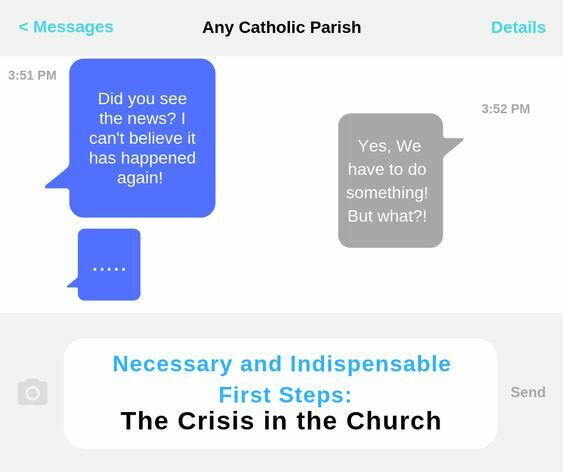 If you, as leadership, witnessed the effects of what transpired in Boston, Ireland and elsewhere why wouldn’t an investigation within each diocese occur? Sins incurred do not go away simply because we close our eyes and change cannot occur if cannot face the truth. Shameful and egregious wrongs must be addressed for healing and trust to return. Am I angry? Absolutely! This is the church that I love- it is the faith that I chose and that also chose me. Yet, my faith does not rest solely on the actions of man, even holy men, but on Christ. As such, it cannot be shaken for my hope is in God knowing that he has called each one of us to witness to his truth and love in this broken world. We are not, however, left alone. With his Word and Spirit to guide and the Eucharist as our strength together we walk onward allowing God to rebuild us as a people. We need only look to thousands of years of tradition to see that this would not be the first time. Yet, this begins today and with each one of us. Pray. I cannot emphasize enough how important this first step is. For how can we be the body of Christ in the world, his holy church, if our actions are not discerned and directed by prayer? And by prayer I mean not just tossing up a “God please fix the present circumstances”, but continually spending time with God to learn His ways rather than relying on our own. Consider adoration. It is an incredible time to listen to what God has to say, and to allow him to move your heart, mind and soul to the work ahead. Fast. Why fast you may ask, when the sins committed were not ours personally? First, fasting is both a way of expressing our sorrow and also to seek clarity. Secondly, our faith is not a solitary one. Every sin or injury to the body of Christ is felt by the whole. We also take responsibility in calling one another to holiness beginning with each one of us. God will raise holy men and women to be saints- and the time is now. Today I pray, fast, and work albeit willing to fight for this Church that I call home. Join me and countless others! 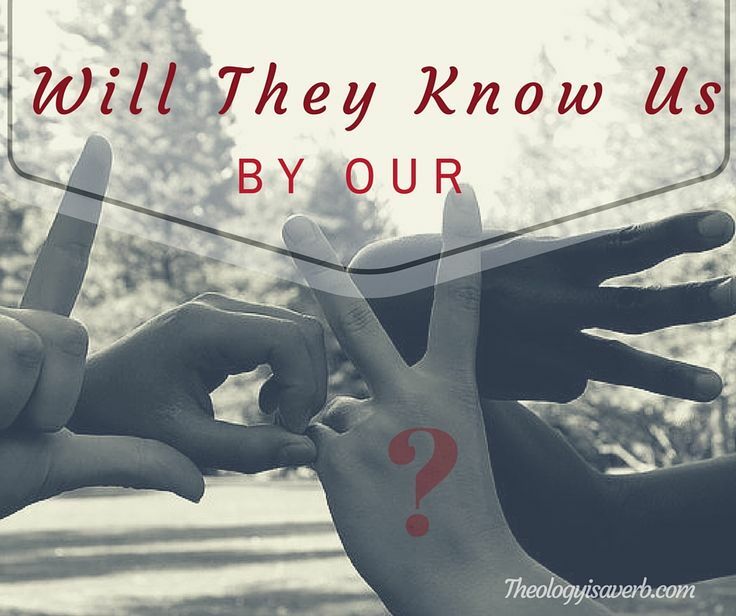 Worth Revisiting: Will They Know Us By Our Love? Before we tweet, post, share or comment let us take a moment to pray. For, if we consider the medium of new media as a tool for evangelization, then I believe, we must address the witness that we are so ready to make accessible to others. Our online presence then should make our witness to Christ clearer, and the message conveyed expressive of the mercy, love and compassion of our Lord. Yet, for those times we fail, we are reminded that we are also a “church in constant need of forgiveness” who, through the “sacrifice and self giving” of one another in community, finds strength and freedom from sin. For those times when I seek to be less than compassionate in responding…Lord help me to see you in others. Christianity began in encountering Jesus in community and is a product of dialogue and translation embracing cultural, linguistic and religious differences. For, through St. Paul’s experience we are clearly made aware of the pastoral needs of the community, and the necessary translation in witnessing to the Gentile community. While there needs to be a clear idea of what it is we believe in our expression of Christianity, without error, this need not encumber dialogue. This past week Fr. Rob Ketchum observed that “we [Christians] are sometimes more aware of what we are against and of what we fear than of what we are for and what we love”. Fear does not engender strength, or a convincing witness and does not exemplify love. As Pope Francis so eloquently remarked, “unless we train ministers capable of warming people’s hearts, of walking with them in the night, of dialoguing with their hopes and disappointments, of mending their brokenness, what hope can we have for our present and future journey”? True listening requires a humility and sincerity to respect one another-to accept change even our own. Few among us embrace change easily and for this reason we tend to romanticize the past. Yet, if we look back historically, we can readily identify that change and disagreement are nothing new for us as a people of faith. There has been a natural, although sometimes painful, working out of our faith through the many complicated issues that have arisen over time. Our tradition serves as guide and witness to a wealth of experience expectantly working towards conversion and transformation of the heart and situation to the mission of Christ. If the dialogical engagement is real and substantial then there is always the beautiful possibility that all involved will grow. When we encounter a position that is different from our own, are we truly seeking to meet it with love or with pride? While some may view this as naiveté, I truly believe, that there can be a fruitful sharing and transformation in evangelization when there is openness, humility, and prayerful consideration of one another. This isn’t something to be feared, but as Christians our conversion of heart and mind is to be constant turning and transformation to the Holy Spirit at work in our lives and in the world. Therefore, we ask ourselves, have we as a community grown from our interactions and dialogue with humanity at large? Are we engaging, and responsive to the Holy Spirit at work in the world? This I believe is truly “an ideal which [we] can identify and to which [we] can commit [our]selves with enthusiasm and lasting zeal”. Gaillardetz, Ecclesiology for a Global Church: A People called and Sent. Sandra Schneiders, defines spirituality as “the experience of conscious involvement in the project of life integration through self-transcendence toward the ultimate value one perceives.” “Religion and Spirituality: Strangers, Rivals, or Partners?” Santa Clara Lectures v.6. no. 2, Feb 6, 2000. In Schneiders discussion of spirituality, she begins with a very narrow understanding and use of the term in regards to the intensification of an interior prayer life, and communally within a guided retreat setting. As described, it seems limited in its effect where its participants seek to leave the everyday world to experience the Holy Spirit in a contained setting. This level is then expanded somewhat in a second approach to be a transformative experience intended to affect not just one’s prayer life but a lived increase of an everyday life of faith and service. The third approach encompasses both of these but redefines our prior catholic understanding of the body and emotions as something outside the realm of spirituality to include these in lived spirituality. Lastly, we have the broadest approach which also considers how one’s spirituality and life experience can and has impacted the world both politically and socially. Even to reflect that one’s own worldview, and life experience itself is a product of and affected by the historical social contexts of the world around us. In moving concentrically outward in depth of experience of spirituality, we also move from a narrow understanding given to a chosen pious group of believers to that which can be shared by all, and essential in a holistic life in the world. For the majority of my life, I would say that I have understood spirituality primarily within the second approach. Growing up I had been given a wonderful role model of spirituality in my grandmother, whose prayer and faith life radiated not just within her own life but in all those who journeyed with her. Like her, I have desired and seek to live my faith both in prayer and within the entirety of my everyday experience. Therefore, when I attended the Cursillo retreat several years ago, it wasn’t novel- but first of all a re-commitment to give all aspects of my life to God and seek greater discernment in my path of discipleship. It is in this discernment journey that I have begun to understand the tie of spirituality to that of the body and emotions. How can I better impart the gift of being a woman, wife, mother, and friend in the realities of life and share fruitfully the gift of love wholly? In my studies at Loyola, I recognize this approach to a lived spirituality calling me to broaden my horizons again from the microcosm of my immediate community to that of the world at large. As a hopeful “awakener” of the faith, I understand that the questions of those I encounter are ones that have the potential to allow each to find meaning and purpose in their lives and in the world. 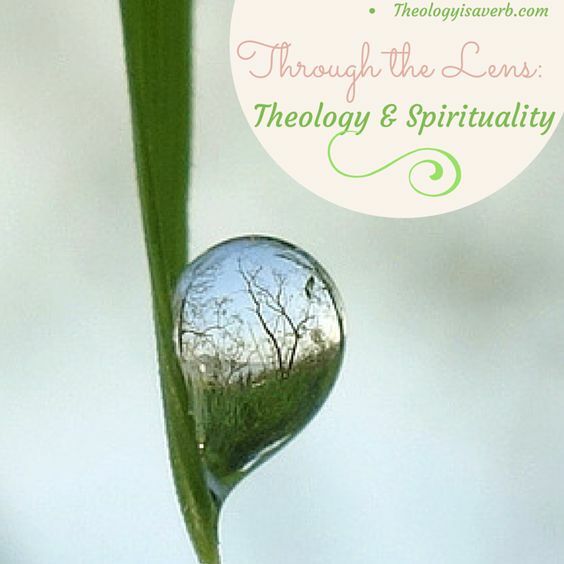 Yet what is the dialogical relationship between spirituality and theology, and how do they impact one another? Very broadly, spirituality and theology appear as seekers in trying to understand the mystery of and our relationship with the Other, and in a perfect dialogical relationship can add support, understanding and indeed life to the journey. Visually, I see this as one’s left hand and right hand, which are both needed together in prayer, supporting the other in receiving communion (i.e. the Eucharist), and in reaching out and serving as communion to others. While one can perform these actions one-handed, or allowing one hand to dominate, it is in the partnership that one can embrace the fullness of the opportunity set before us. Thus, we look to the unique contributions that both spirituality and theology can provide to understand the breadth of the human experience and relationship with God. According to Schneiders, Christian spirituality is both a lived awareness and experience of seeking God, which involves our whole self but goes beyond our finite selves, and which is enabled by the Holy Spirit. This is compatible with how I also understand spirituality as a conscious commitment to seek God in all things that is dependent on the Holy Spirit for guidance and strength. Likewise, I would agree that although Christian spirituality is a personal experience, it also involves a community of believers. This is clearly visible in the experience of the disciples and early church but is also true in the contemporary experience of spirituality. Yet, today we can benefit from centuries of faith understandings to fully appreciate our own experience of spirituality. This is where theology can inform, inspire, “criticize”, and “challenge” this lifetime journey by providing a degree of structure, points of reflection, and others’ experiences for the believer to consider. Without a backdrop or context in which to place one’s experience, how could one interpret the similarity or uniqueness of it at all? Conversely, theology without adequate spirituality provides theoretical truths and boundaries, but lacks the witness to the Spirit continually at work in the unique experience of the individual. The role of theology should therefore be to guide and not “control” the field or “subordinate” experience of spirituality. Rather, in partnering with spirituality, theology is enlivened, dynamic and transformative reflecting also the contemporary lived experience of its believers. Will They Know Us By Our Love?